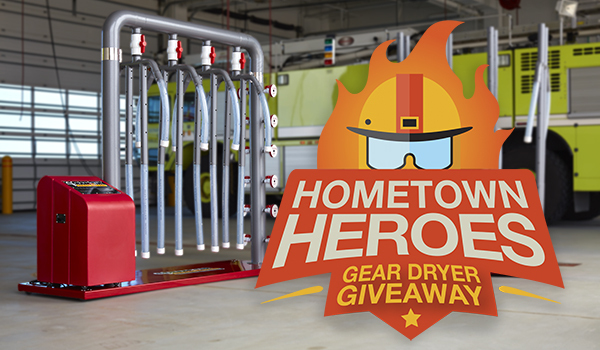 Win the ultimate in gear drying technology! For the third year in a row, we are proud to salute firefighters around the world with this giveaway to one lucky fire department. As a firefighter owned company, we have a sincere appreciation of preserving the safety of firefighters and those you serve. Our gear dryers are designed to dry your gear quickly and set standartds beyond any other competitors products. THE WINNER COULD BE YOU. Enter now…it only takes a few seconds. Enter for a chance to win a Ram Air 4-MU gear dryer, subject to standard terms and conditions and the Official Rules available at ramairgeardryer.com. NO PURCHASE NECESSARY TO ENTER OR WIN. Odds of winning depend on the number of eligible entries received. Sweepstakes only open to individuals who are employed by (or volunteer for) a fire department. The prize is for use in fire departments only and may not be resold. Shipping fees are not included in prize. Void where prohibited or unavailable.